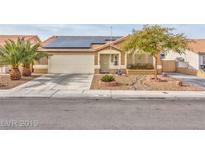 Below you can view all the homes for sale in the Vista Del Sol subdivision located in North Las Vegas Nevada. 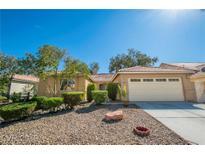 Listings in Vista Del Sol are updated daily from data we receive from the Las Vegas multiple listing service. To learn more about any of these homes or to receive custom notifications when a new property is listed for sale in Vista Del Sol, give us a call at 702-323-5963. With no association dues and close to schools and shopping makes this a great home!! ! MLS#2084988. Doss Realty Group LLC. All bedrooms have walk-in closets and master with a fireplace are just a few amenities of this home! MLS#2079689. Better Life Realty. This home features a chef's kitchen with Samsung stainless steel appliances, shaker cabinets, an open floor plan, gas stove, laminate flooring, neutral paint throughout, gas fireplace, vaulted ceilings, French doors off the master bedroom, RV parking, a heated in-ground pool, covered patio with a fan, Tesla leased solar panels that provide super low monthly energy costs . MLS#2061005. Nationwide Realty LLC.